Sure, catching a flick at a movie theatre is fun, but what about watching a movie while taking a nice dip in a hot tub at the same time? That’s the idea behind a new series that does just that. With successful events in Australia and across Europe, Hot Tub Cinema Club is now coming to Vancouver this spring. While the exact location and specific date has yet to be announced, organizers say the event will take place “downtown” in May of this year. 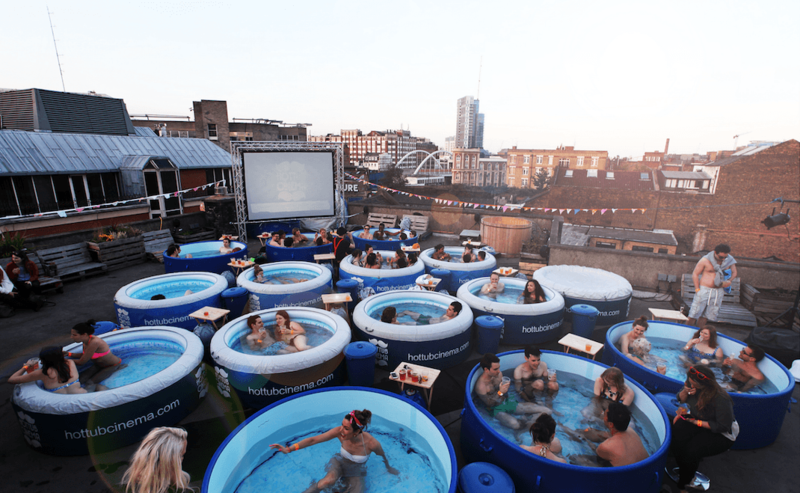 The events will feature six screenings which will be limited to 20 tubs (up to five people per tub). Some quick math tells us that’s only 600 tickets, so those who are interested in this event should keep an eye out for further details. More updates on the event can be found on the event’s website, where updates and details are expected to be posted closer to the date. There’s no word yet on whether Hot Tub Time Machine will be shown during the event.